Sometimes, a blog entry just writes itself. Today, for instance, I opened my task list to find the following task, right there in the middle of the list, "E JS: Planner Paper." E is my context code for errands. So that part is easy. 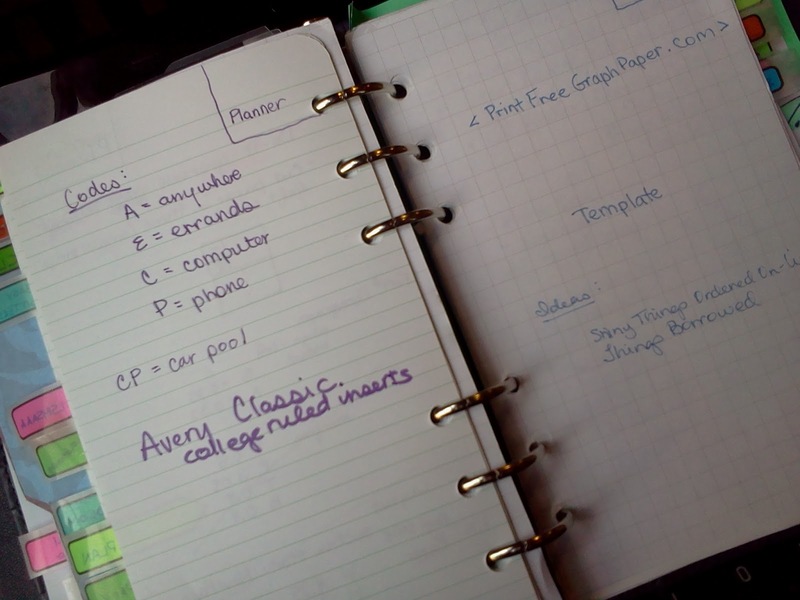 Even if I were to forget what my codes stand for, I have a cheat sheet of codes in my Notes (ABC Files) called "Planner," that includes things like context codes, sources of refills and printables for my planner, and instructions for how to print out smaller size printables. Generally, two or three letters together indicate initials. I searched my Facebook friends, and only three names start with the initials JS. Next, there are the words "Planner Paper." You see my mistake, right? Planner paper could mean anything. Instead of "planner paper," I should have used an action verb. That's correct. The simple step of using an action verb likely would have clued me in. I would understand my own note. All have action verbs, and I understand every single entry. 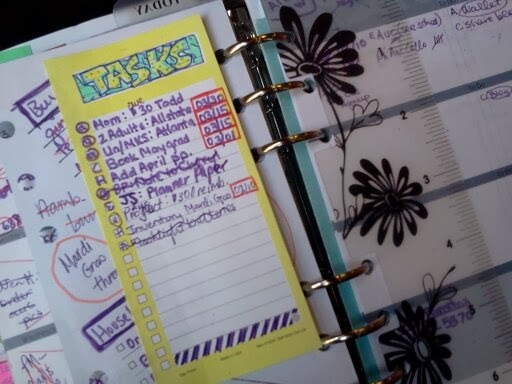 Errand - J. Smith (one of my Facebook friends) - Pick up planner paper from his office. (He has some old paper from his FC Classic days.) Yes, I solved the mystery! 1. Use a context code. 2. Use initials for family members, bosses, or anyone that you interact with daily, but for people you see less often, use an initial and a last name. 3. Use an action verb to begin the entry. 4. Where an address is involved, note the address. 5. 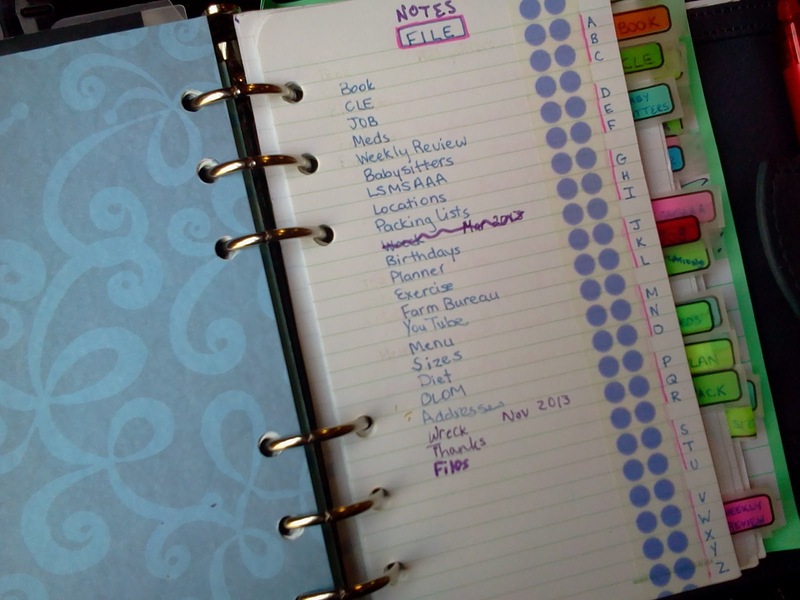 Keep a list of common abbreviations that you use on your Planner page in your Notes or ABC Files. Unbelievable! I came across the same situation yesterday. I written: Potato Box! And that was it. We store potatoes in a big box. The potatoes there are fine. And now I have no idea what/why I note that. :-( Excellent post. I will write it down. Great tip! I like the idea of codes but since I can't remember anything (hence the need for a planner) a code key is a must! Thanks for the share! This is why I think I now need DO2P - I don't have the brain power for codes anymore. I write almost everything fully out. Oh, honey, I have no idea! Ha ha! Great post. I have a hard time remembering my codes as well. I have to have a reference sheet. I think quick writing on a task list like that is like putting something away where it doesn't belong thinking you'll remember where, are much in the same..at least for me. I must do it consciously. I had a one letter code on one of my pages that I couldn't figure out. I thought and thought but couldn't figure it out. About 3 months later, it came to me when I was in bed, not sleeping. It was a Q and it stood for quilt. Duh. I should have known that. Now I'm more careful with my codes, too.